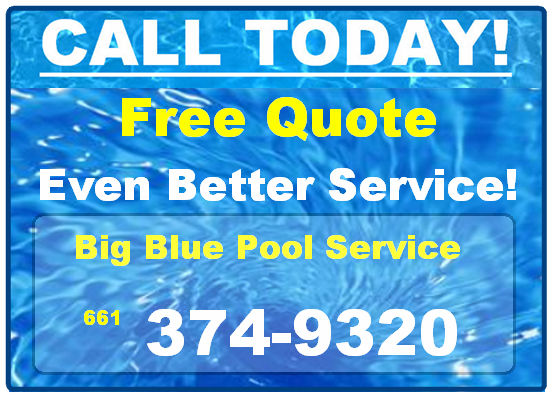 Use a High Quality Pool Service in Bakersfield - then Relax!Big Blue Pool Service – Best in Bakersfield! Do You Relax or Worry About Your Pool? 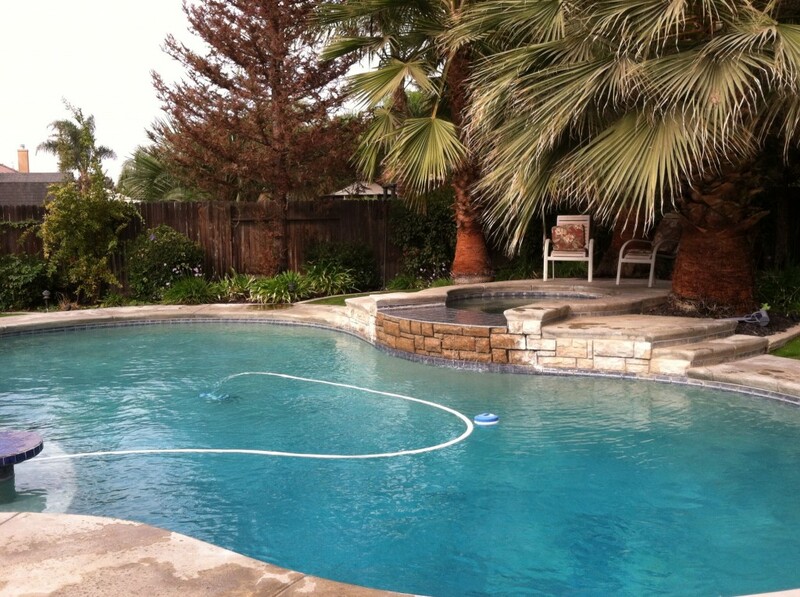 You’ll Relax If You have a High Quality Pool Service in Bakersfield! My name is Mark K. and I want to say something about what Big Blue Pool Service in Bakersfield can do for you – yes, I said do for YOU. Sure having a pool service clean your pool and take care of the chlorine and PH levels is important. You certainly will appreciate having the pool traps cleaned, the pool pump running correctly and a hundred other things that need to be done to maintain your pool. But here’s the best thing – from my perspective: It helps ME to relax. Yes, at the end of the day, I don’t fret or wonder if my pool is OK. I don’t even look at my pool because I KNOW that it’s being cared for by a high quality pool service in Bakersfield. THAT is important – it takes the proverbial “load” off my mind. Do you have a lot of trees, bushes and plants in your yard? I do, lots of them – more than you can probably imagine. If you do as well, then you understand the hassles of trying to keep your pool clean. Is it really worth the relatively small amount of money that it takes to hire someone to do the pool cleaning for you and enjoy some “down-time” rather rather than doing it all yourself! Dan at Big Blue Pool service in Bakersfield works hard to bring a new kind of pool service to the definition of pool service. What does that mean? Well, miracles are not exactly the point here: If a big storm moves in, your pool WILL get dirty. Don’t panic, Dan will be back to clean it – it may take until the next scheduled visit, but that’s my point: You see, since I know that he’s coming back, be that tomorrow or in the next normal cleaning cycle, I relax. He’ll get it done. So, if we’re talking about a pool that accumulates a lot of debris, or just needs good on-going and quality pool care, then Dan is your guy. What I’ve found is that he does his job with excellence and he also serves you as a customer with a smile and a big heart. Dan will be sure that you have the proper equipment – pool pump type and size, the best filter for the needs and so forth. Then he keeps them running to their maximum and keeps the debris from the pool with the weekly service call. Look, there are no perfect people, or perfect services, but there are some darn good ones – and Dan Phillips is one of those. Give him a call – he’ll give you a free quote and you’ll like his quality customer service. That’s kinda hard to find these days. Dan’s aim is to become THE premier pool service in Bakersfield. Give him a call today and let him serve your pool cleaning and service needs. I love the difference he makes in my pool, I’m very confident that you will too.